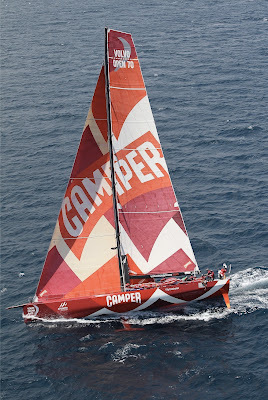 CAMPER with Emirates Team New Zealand crossed the finish line in Miami earlier today, happy with their performance and the 25 points won for the second place. 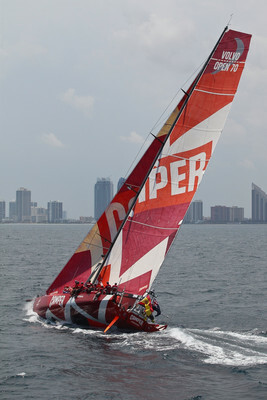 They completed the 4800-mile leg from Itajai in Brasil to Miami in Florida in 17days 2 hours 21 minutes and 24 seconds. 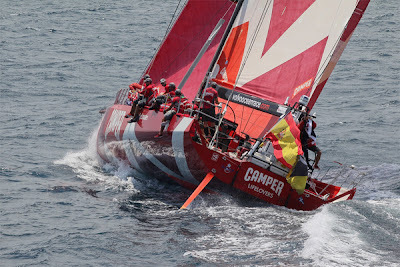 In a leg that has seen an oceanic match race more or less from start to finish, skipper Chris Nicholson and his crew were comfortable with their performance although an outright leg victory would have been a sweet reward for all their hard work. “It was good, especially after the last leg, which was tough for us. We are very happy with the way the whole team pulled together in itajai and got us here in good shape. You are always frustrated not to win as that is why you do it but there was a lot of close racing and we had a lot of sail area up in a lot of breeze just wondering who would crack first,” commented Nicholson dockside in Miami. “It is like a lot of the skippers have said - this race will be close. I am hoping it comes down to the wire in Galway,” he concluded. Given the closeness of the race, excellent crew work and smart decisions by both navigator and skipper all played a crucial part in the final result. CAMPER navigator Will Oxley only managed some 20 minutes of sleep on the final day of the leg but was generous in his praise of Puma. 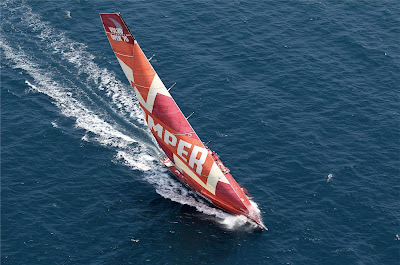 “They sailed a very good race, but we were there all the way and did not make it easy for them. But the most important thing is that the boats ahead of us on the leaderboard are behind us on the water. We deserve to be in the top two, that is for sure. Our decision to go in between the islands was one that we had mapped out well before the start of the leg so we knew what we were doing. But this leg was not won by one critical maneouvre, there were some 50 places that it could have gone wrong,” commented a tired but elated Will Oxley. CAMPER now has eight days to prepare for the ProAm Race on the 18th May. 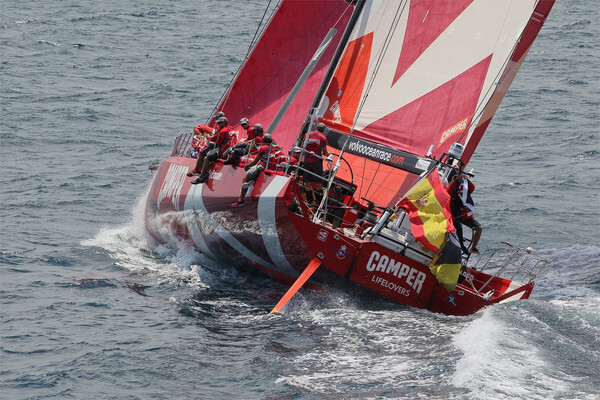 While the sailing team take some well earned time off, the CAMPER with Emirates Team New Zealand shore team will be ensuring that CAMPER is race fit and ready ahead of the start weekend in mid May.